Ethan and Eisley Lambent have been on an adventure wrought with danger!The monstrous Smarr is imprisoned but the mysterious creatures called Ancients have warned the twins that Smarr will not be held captive for long. Even more mysterious is the Ancients’ revelation that the Lambents will play a larger role in the coming events! People need a little wonder in their lives. Nothing captivates the imagination like a well-crafted tale. This is why I am a storyteller. Stories are at the heart of all that I create: fantasy novels with soundtracks, ghost stories and poetry, indie music and graphic design. Each of these creative outlets tells a story in its own unique way. In fact, I can scarcely imagine becoming anything besides a storyteller, being named after Bob Dylan and James Taylor (Taylor is my middle name). Confederate headquarters full of secret compartments for hiding maps and guns to spending my more formative years in an old family home that, for all accounts, was haunted. In these environments my imagination thrived! Surrounded by a mother who fostered our creativity by reading books aloud to the family and a father immersed in the folk music scene, I acquired a deep appreciation for storytelling through both oral tradition and song. Some of my fondest memories are of my parents taking me to see fantastical movies such as The Empire Strikes Back, The Dark Crystal and The Never Ending Story. While inspired by these epic films, I attribute my love for literature to my mother. Being home-schooled I was allowed to read the books I wanted to read, before the ones I had to read, often being encouraged to re-write the endings in the manner that I’d have liked them to end. I began my literary journey by reading science fiction but later developed a taste for fantasy literature. I wish I could say that I was one of the people who read The Chronicles of Narnia and The Hobbit as a child. However, my admiration of Lewis, Tolkien and, the lesser known, George MacDonald bloomed in adulthood. My wife and I discovered these and other inspiring authors as we read aloud, often late into the night, captivated by their brilliant tales. I began storytelling as a songwriter, being a part of numerous bands throughout the years. One of these bands, Sleepy Turtles, got picked up by a record label and we recorded and toured for a time, all the while promoting The Emblem & The Lantern. This promotion was a natural pairing of creative outlets because the band was birthed when we band members came together to record a soundtrack to the novels. These stories of the Ethan and Eisley Lambent did not begin as a book. They began as night time stories that I was telling to my oldest children Ethan and Eisley. What became E&L were stories of their adventures into the unknown. When I began writing Awakening I was under the impression that I was writing a little children’s illustrated book for my kids. Upon finishing the first chapter and finding that it was fourteen pages long, I realized that I was entering into a much larger world! 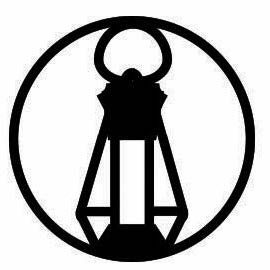 To my continued amazement and thankfulness, several schools added The Emblem & The Lantern to their middle school literary curricula. As such, there are student workbooks that have been developed by myself and one of the schools that utilize the novels. (To obtain these workbooks simply contact me through this site). I am currently crafting the third installment of the series. I use the term crafting, not only because I am writing the story but because I self-publish these novels, a choice I made early on. This allows me to be in control all artistic aspects of the novels. I design the covers, typeset the books and write and record the soundtrack to each story. One the only creative elements that I outsource is the interior illustrations, which are masterfully drawn by friend, artist and blacksmith – Mikael Jury. There are, of course, many others that are involved in the overall endeavor like thematic editor Joanna Jury and copy editor Barbara Toth. And there are the musicians and friends that have accompanied me on this journey as well. It’s a small family of creativity that has overseen these books to completion and I am grateful for each one’s involvement.